Are you a bit of a wine connoisseur? These days, most people seem to be; you certainly don’t need to be an expert to have at least a rack or two in your home, and quite possibly an entire cellar. Find inspiration for housing your collection here. 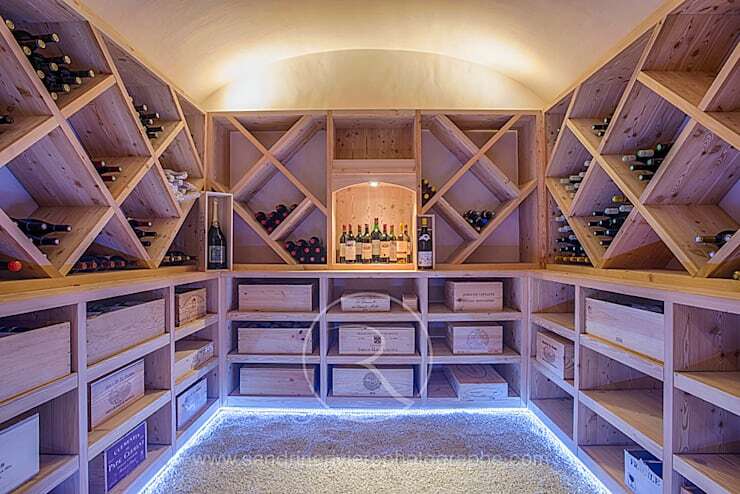 This wine cellar uses geometric cells to create a honeycomb structure for storing bottles. Placing the compartments at an angle, and featuring compartments of varying sizes and shapes, adds variety and interest beyond that found in a typical shelving unit. In addition to its aesthetic merits, the angle chosen for the compartments also offers a simple way of keeping the bottles in place and preventing them from rolling away. The lighting in the room is subtle, coming primarily from beneath the shelving units. A soft glow at the edges of the arched ceiling also helps emphasise the unique shape of this room, while casting a warm light from above that counterbalances the cold blue of the light from ground level. 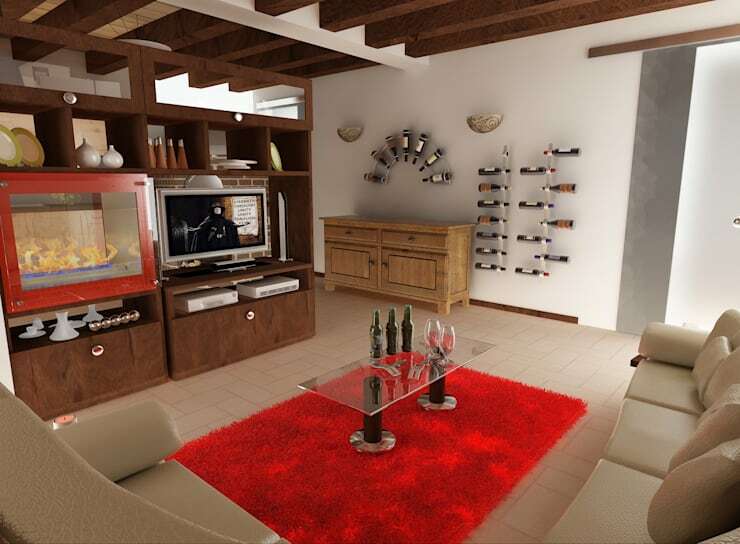 Unless you have an extensive wine collection or own a restaurant or shop that calls for storage of large quantities of wine, you’re unlikely to need to closely replicate this room; however there are certainly key elements of it that could be repurposed on a smaller scale, such as the angled shelves and the illuminated central unit for showing off particularly impressive acquisitions. 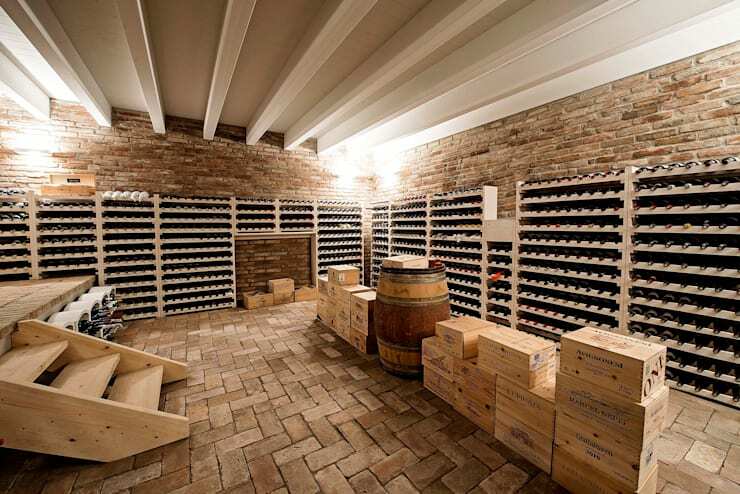 Once again, things here are done on a fairly grand scale; this is not a wine cellar designed for a domestic setting. But there are, again, key elements that it would be possible to recreate in your own home. The heavy reliance on natural materials – the unpolished stairs, the bare stone floor and walls, the exposed wooden beams – leads to a rustic feel that would work just as well in the pantry or cellar of an urban dwelling as it would in a countryside retreat. The use of boxes and barrels as decorative items is an interesting and effective choice, too. Often, the packaging your wine comes in is as worthy of display as the bottles themselves, and in this case it plays an important part in contributing to the unrefined, rural feel of the space. 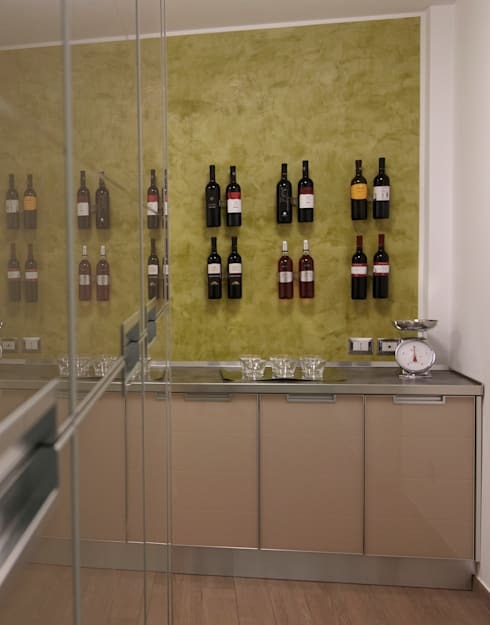 For those who have a less grandiose taste in wine storage – or perhaps simply have less wine to store, and less space to store it in – a simple solution is to display your wine on a wall, as seen here. This can be achieved by screwing holders for individual bottles into the wall, or even by installing a series of mini-shelves just wide enough to hold one or two bottles. In this way the wine won’t get lost in the jumble of the other items that might be found on your kitchen shelves; they will have an area designated just for them, and will become as important a part of the decor as the pictures you choose to hang in the room. Offering a slightly different take on the idea of wall display seen above, the designer of this room has done something a bit more playful with its bottles, arranging them in playful and unexpected formations with the help of unconventional wine racks. These bottles very obviously serve an important decorative function, especially as this is the living room and not the obvious place to store wine. The wine has been plaed here for a reason: because it looks wonderful and offers an original alternative to art. How big is your wine collection? Where do you keep it?